The Prime Minister’s office is revamping its Delivery Unit so as to make it more efficient and improve its effectiveness. The purpose of this reorganization is to facilitate the general public, Overseas Pakistanis and the Foreigners to ensure prompt redressal of grievances. 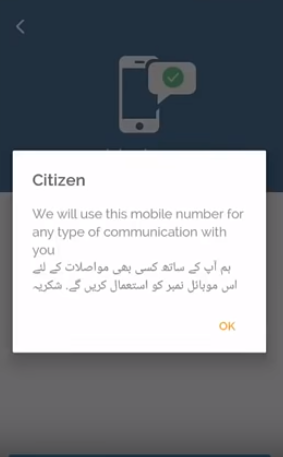 Additionally, Pakistan Citizen Portal is an (online) Integrated Citizen Grievances Redressal System connecting all government organizations both at Federal and Provincial levels. The system will serve as carrier of complaints to their respective offices across Pakistan. Three colour coded scheme has been introduced in this system, to ensure efficiency in disposal of matter pertaining to public service delivery. The IGP office has started processing the complaints received through this portal. The staff in two shifts under the supervision of the AIG/Complaint has been deputed. The complaint is not disposed off till it’s either redressed or has proved to be false after verification by a senior officer. Pakistan Citizen Portal (PCP) an Online Platform for the Citizen for registering their complaints. How to Register Complaints with Pakistan Citizen Portal? Step By Step Guide. 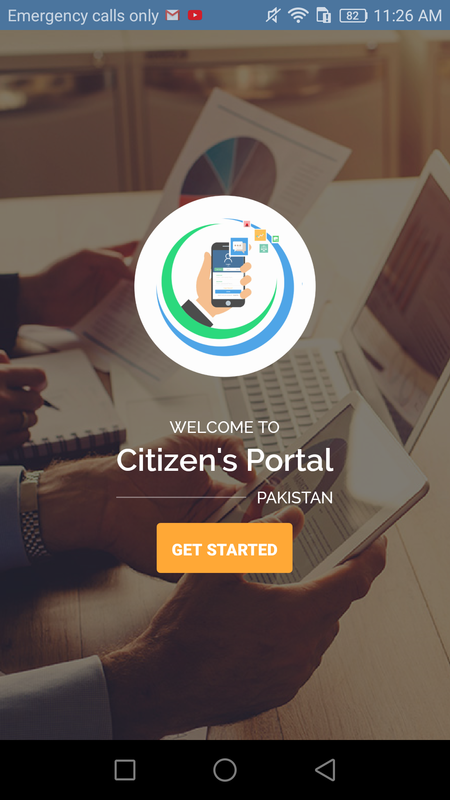 There is a good news for the people of Pakistan, the government has officially launched the Pakistan Citizen Portal (PCP) to tackle with the problems of the common man. Prime Minister Imran Khan has inaugurated the Pakistan Citizens Portal on Sunday, 28th October, 2018 in order to timely address the problems of the people and get their feedback. 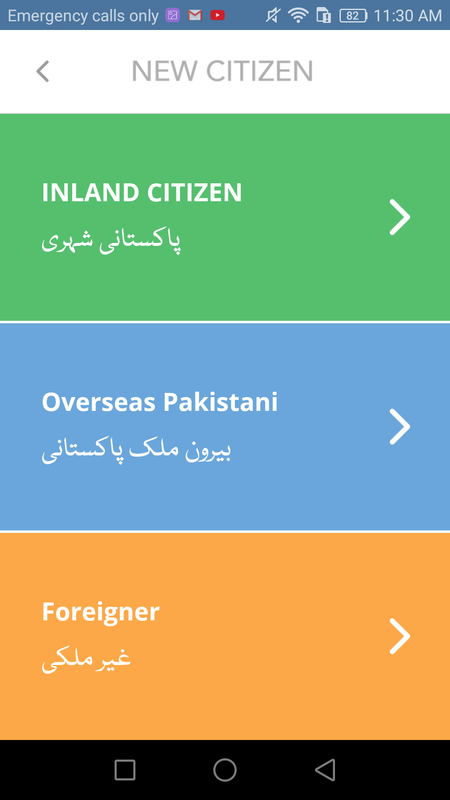 How to use the Pakistan Citizens Portal? 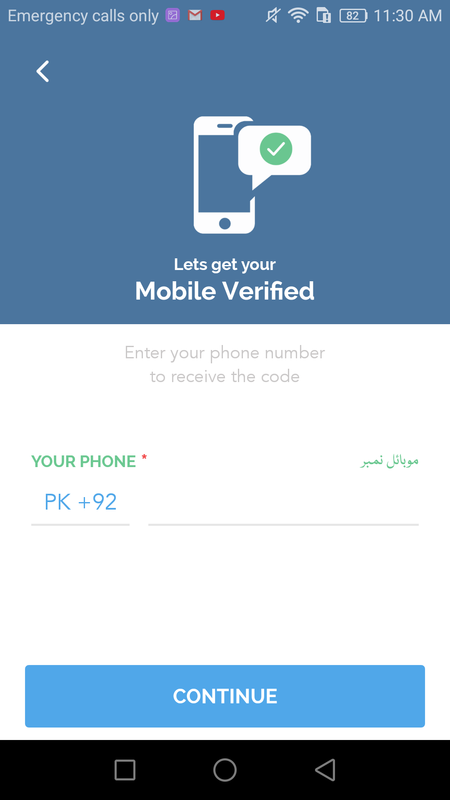 The use of the Pakistan Citizens Portal is very simple the users just need to install the application (app) and register themselves to send their complaints to the concerned government departments and their problems will be solved in the given time frame. First of all install the application in you Android devices by clicking here. After the installation open the application and click on the button get started (as you can see the image below). Now you will see another page where you need to register yourself as you can see the image below. You need to select any of the above mentioned categories in order to register. The citizen of Pakistan need to click on the Inland Citizen to register. Here you need to provide you valid phone number and then click on continue. You will receive a confirmation message as you can sees in the picture below. Now you need to provide all you correct information including your name, gender and date of birth and then click on next button. 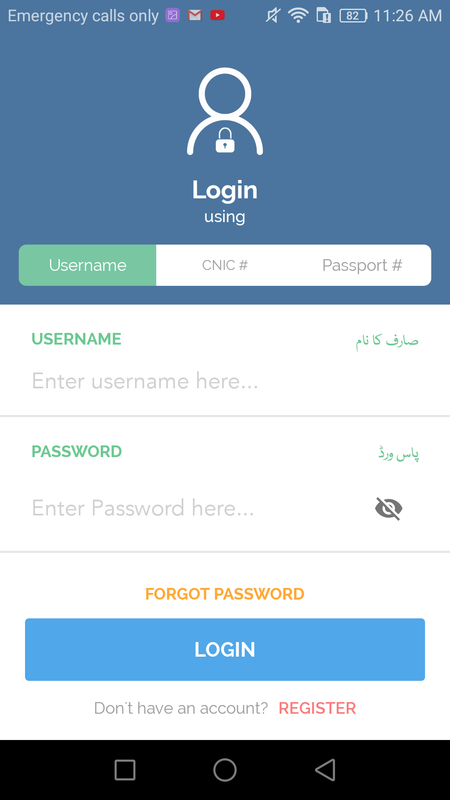 Click on the next button and then provide your user name, Password and then re-confirm password to start. 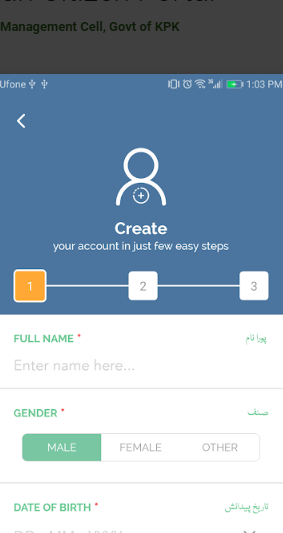 The App will verify your user name. Next you need to provide you CNIC Number, Province, District and you residential address and other related information and finally click on the Finish Button. Now you are ready to use the Pakistan Citizen Portal App to submit you complainants and recommendations.